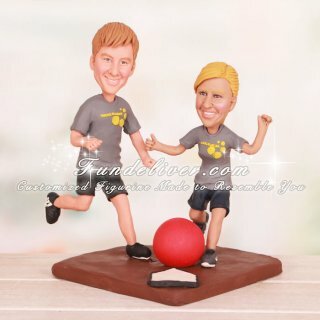 This is a completely customized kickball soccer-baseball wedding cake topper ordered by one of our customers. 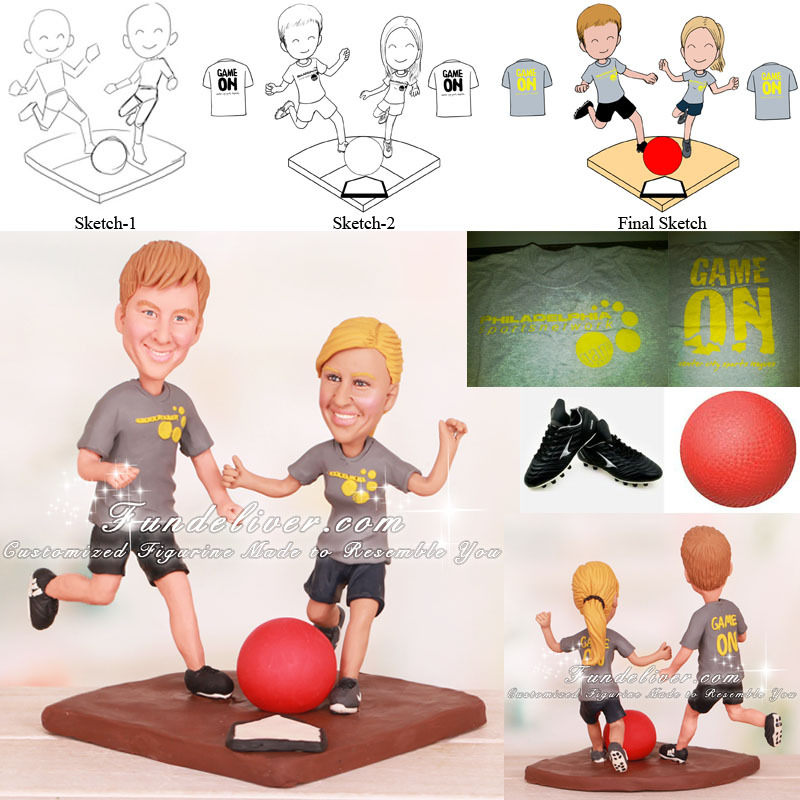 The bride and groom met when playing kickball, so they would like a kickball theme wedding topper to reflect this. The bride is wearing a gray t shirt with kickball league design, navy blue shorts that go halfway down thighs, white ankle socks & gray sneakers. The groom is in a gray t shirt with kickball league design, black shorts to the knees, white ankle socks & black cleats. They would like their figurines to be running on a brown baseball field with both their legs back and winding up to kick the same red kickball.